If you’re trying to learn to play electric guitar, you probably know that it can be a daunting prospect. There is definitely a lot to consider, so we are giving you the ultimate guide to playing electric guitar for beginners. 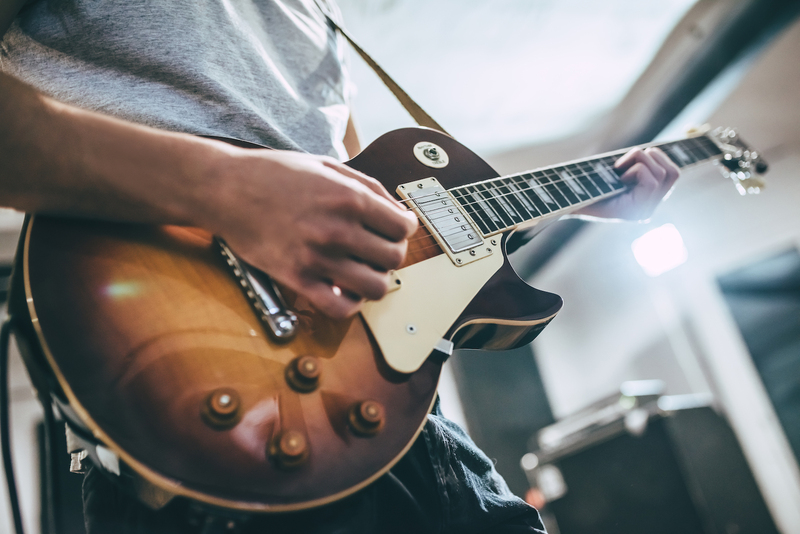 Whether you are just looking to dip your toes into the world of playing the electric guitar or wanting to become an expert, our tips will help you get you where you need to be. Before you actually get started, there are a few items you will need to learn to play electric guitar efficiently. In order to actually play the guitar, you need a decent amp. Now as a beginner, you don’t need to spend thousands of dollars on something top of the line, but you should have something that sounds halfway decent. Not sure where to look? Here’s a list of some of the best amps for electric guitar novices. You will also need an instrument cable to go with your new amp. This is to connect your new electric guitar to the amplifier in order to create the best sound. As a beginner to playing guitar, you will need to learn to tune your springs. This is made much easier if you have a good tuner to help you out. You can find these at a local music store or online. To make your guitar playing experience as comfortable as possible, we definitely recommend getting yourself a guitar strap. They come in all kinds of colors and sizes, so you should have no trouble finding one you like. Guitar picks are essential when you learn to play electric guitar. These come in all kinds of shapes and sizes, but it’s prudent for beginners to start out using a thickness between 0.65-0.73. 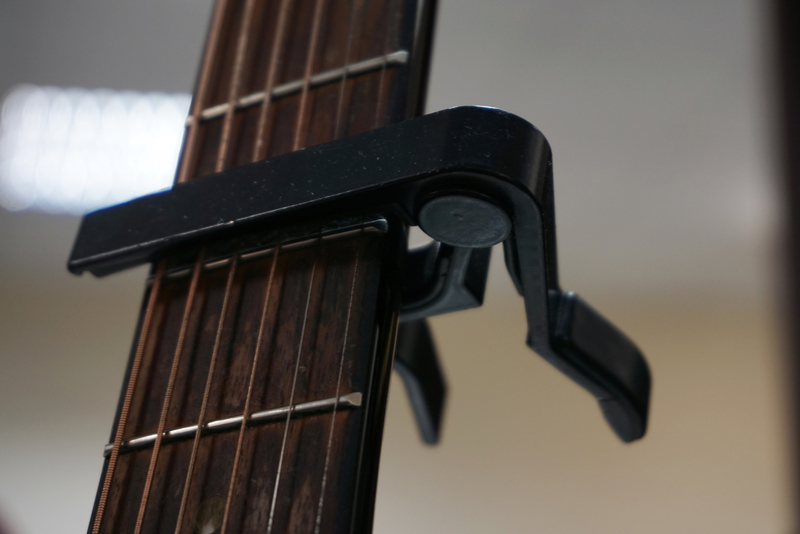 Last but certainly not least, you should make sure to purchase a guitar capo. This tool is essentially a clamp that tightens the strings when used, meaning you can change the key you are playing in. In addition to all of the equipment we just discussed, you will, of course, have to choose the best starter electric guitar for yourself. 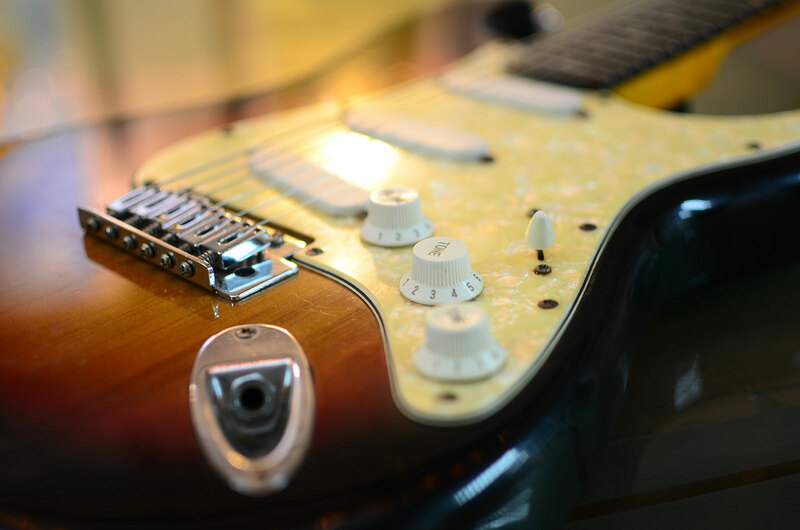 So how much should you spend on a good beginner electric guitar? It is really going to depend on what you can afford to spend, and how decent of a guitar you want to start out with. You will have to spend a bit to ensure you get a good product, but you also want an affordable electric guitar for beginners. If you are serious about succeeding at playing, you can expect to spend around $200-300 at least to learn to play electric guitar. This is on the lower end as far as cost is concerned, but this will get you a decent enough instrument to practice on and play regularly. 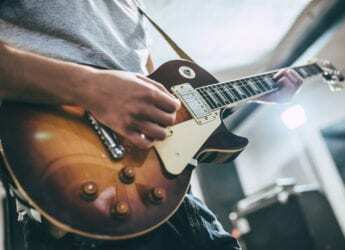 Before purchasing anything, you will want to make sure you do some research on the best beginner electric guitar options and their features. Most importantly, you should consider the options for electric guitar body styles. V-Shape is one type of solid-body guitar, and it’s pretty self-explanatory. It simply refers to the guitar body being a V.
A Single-Cutaway has one curve in the guitar body, which makes it simpler to play high notes on the fretboard. The word “cutaway” refers to the curve in the body, on one side of the fingerboard. A Double-Cutaway is exactly what it sounds like, a guitar with two curves in the body near the neck. The Explorer Shape is a fairly unique body that is shown in the Ibanez Destroyer and the Gibson Explorer. If you are looking for something other than a solid-body electric guitar, you can also take a look at hollow and semi-hollow bodied options as well. 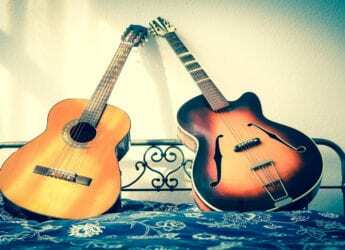 These are electric guitars that have hollow bodies, like acoustic guitars. Semi-hollow guitars also have a center block that is completely solid, which helps cut down on their feedback. Hollow and semi-hollow guitars are typically used with jazz music, as well as some blues, rock, and country as well. When looking at the top body options, make sure you consider the best options for your preferences when it comes to pickups and bridges as well. For most people, the easiest electric guitar to play and practice on is a double-cutaway body. 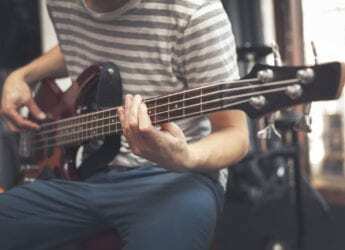 Regardless of the type of music you want to play with your electric guitar, you should make sure you take the time to learn your chords and practice scales. As a beginner, some chords like B or F are going to be more difficult to learn until you build your finger strength. However, you can learn simplified versions of any chords you have difficulty with, making it much easier to learn to play electric guitar. Once you have most of the basics down, try learning some really easy tunes. Picking out some of the best electric guitar beginner songs will motivate you to practice harder. Obviously, with an electric guitar, you will want to be familiar with your amp. The amp is simply taking the noise from your guitar and making it louder. Knowing the ins and outs of your amp will make playing your starter electric guitar easier. Typically, an amplifier will have different channels, which can make huge adjustments to the sound that the amp is creating. All of them will have what is known as a “clean” channel, which is the pure tone that comes from your guitar and the speaker inside of the amp. Then most amps will also have another channel that gives you a more distorted, “dirtier” sound. This is commonly known as distortion or overdrive. Some amps have even more than one gain channel, which offers you several different, distinct sounds that you can switch between with a foot pedal. If you are brand new and just starting to learn to play electric guitar, you may want to use a standard clean tone as a default. To do this, we are going to talk about how you can EQ your amp. You are going to want to set your three EQ controls (low, mid, and high, or they could be labeled bass, mid, and treble) at 5. They should have a range from 0-10. Then turn off any onboard effects that the amp has, like chorus, delays, etc. 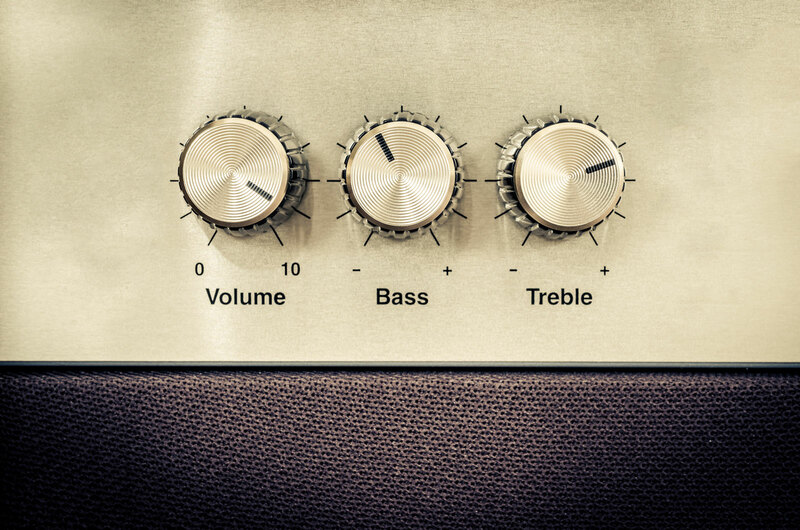 After that step, you will want to select your clean channel, and then turn your volume on the guitar up to 10. Then turn the tone control to the midpoint. With the guitar and amp set up this way, you will have a standard setup that allows you to play with a predictable and consistent tone. Our final tip to start the process of helping you learn to play electric guitar is simply to advise that you practice as much as you possibly can. Whether it’s 20 minutes a day or 2 hours, making sure that you consistently take out your guitar daily will make you a good player. For those of you just starting out with electric guitar for beginners, what is your biggest struggle in getting started? What aspect are you working the hardest to master?